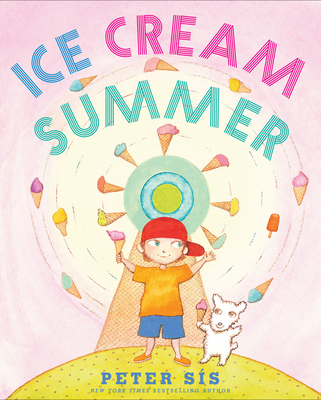 Savor summer anytime with this breezy, sweet and irresistible picture book from Hans Christian Anderson Award winner and three-time Caldecott Honoree Peter Sís! Summer is going well. I am very busy. But don't worry, I am not forgetting about school! I read every day. I practice my math facts. And I am even studying world history! Peter Sís's delicious tongue-in-cheek vision of summer dishes up the whole scoop on everyone's favorite frozen treat, and proves that ice cream is every bit as enriching for the mind as it is for the taste buds. Readers everywhere will be begging for seconds and thirds!